Merging with Option Nationale may help Québec Solidaire attract support among sovereignist voters, but could cost the party support among federalist progressives. Aside from one less party listed on the ballot when Quebecers go to the polls in October 2018, the merger of Québec Solidaire and Option Nationale is unlikely to have any wider electoral significance. Option Nationale, a centre-left sovereignist party founded by former MNA Jean-Martin Aussant in 2011, has not had much success in the two elections it has contested. Option Nationale captured just 1.9 per cent of the vote in 2012 and failed to win a seat — not even Aussant's. In 2014 under Sol Zanetti, the party's support dropped to just 0.7 per cent. The party is rarely included in polls anymore, but the last survey that did list the party as an option did not record enough support to give Option Nationale even one per cent. Québec Solidaire, by comparison, is a behemoth. The left-wing sovereignist party took 7.6 per cent of the vote in 2014, enough to win it three seats. The latest polls put Québec Solidaire's support at between 12 and 18 per cent, which could deliver the party a few more seats on the island of Montreal in 2018. So the electoral benefits of this merger — which still has to be approved by the members of the two parties — appear to be very slim. If every single Option Nationale vote had instead gone to Québec Solidaire in 2012 and 2014, Québec Solidaire would not have won another seat. Option Nationale's electoral showings have been getting worse. 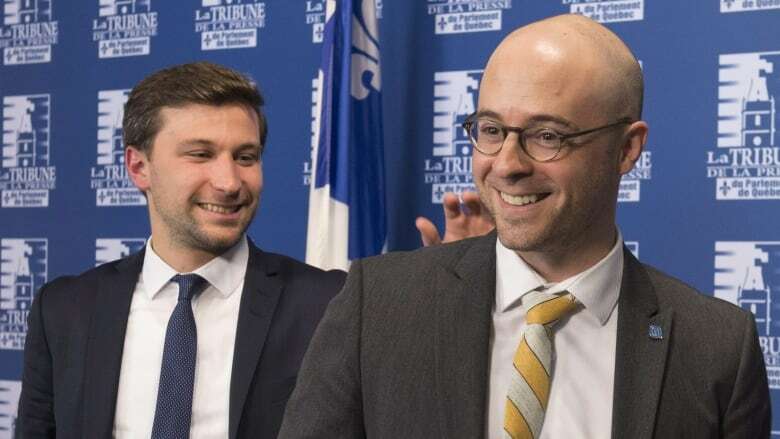 In seven byelections held since 2016 (with the exception of the vote in Gouin, where the Parti Québécois did not present a candidate so as to ease the way for one of Québec Solidaire's new co-spokespeople, Gabriel Nadeau-Dubois), Option Nationale has taken less than 1 per cent of the vote. Its latest performance in the Louis-Hébert byelection on Monday was its worst yet. With 0.3 per cent, Option Nationale placed ninth out of 10 candidates. The Parti Québécois, however, could have made better use of Option Nationale's support in past elections in ridings that it narrowly lost. It could have won two more ridings in 2014 with the help of Option Nationale's voters and five more in 2012, putting it just four seats short of a majority government that year. But Québec Solidaire may not be looking to hoover up Option Nationale's votes as much as its sovereignist bonafides. Option Nationale was founded because Aussant did not feel the PQ was moving quickly enough toward sovereignty. 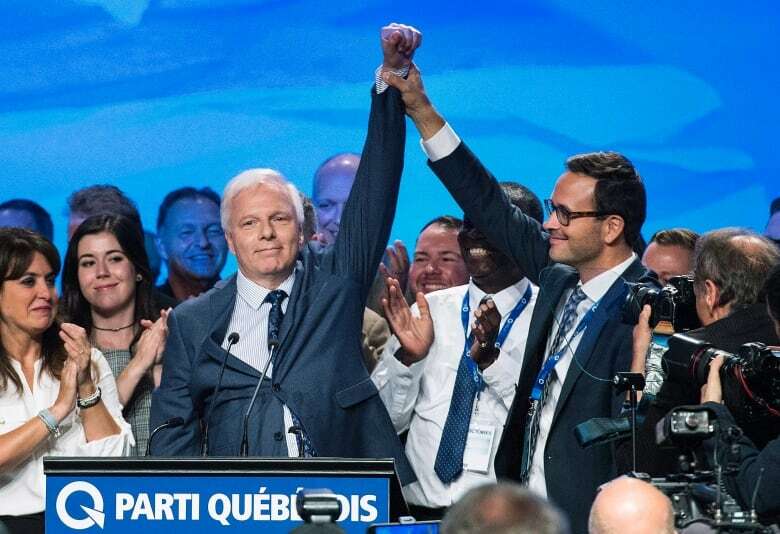 Merging with it may go some way in persuading sovereignist voters that Québec Solidaire is their best option, particularly in the context of PQ Leader Jean-François Lisée's promise not to hold a referendum on Quebec independence in the first mandate of a PQ government. Further splitting the shrinking pie of sovereignist voters will hurt the Parti Québécois, which is already struggling in the polls. But for Québec Solidaire, it could be the ticket for increasing its share of seats in the National Assembly — and perhaps one day overtaking the PQ. Chasing away the progressive vote? There is a risk for Québec Solidaire in this strategy. Québec Solidaire has cornered the left-wing vote in the province, so much so that it has taken up the space that might have been occupied by progressive federalist parties — such as the reborn NPD-Québec, which ran a candidate in the Louis-Hébert byelection. This was the first time the New Democrats have presented a candidate provincially in more than two decades. Though the party took just 1.4 per cent of the vote, that was more than five times as many ballots as earned by Option Nationale. By emphasizing independence in its merger with an explicitly sovereignist party, Québec Solidaire is in danger of turning off federalist progressive voters who have not had other alternatives on the ballot in the past. It is unlikely that the New Democrats will be able to storm onto the provincial scene anytime soon. They may yet fail to get on their feet in time for next year's election and present a full slate of candidates. But with this merger, Québec Solidaire could have more votes to lose than to gain. Could Québec Solidaire be facing its first leadership crunch?